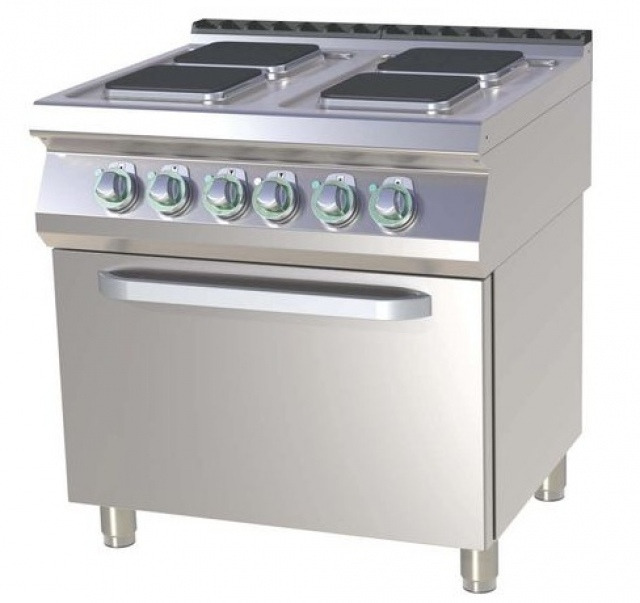 Electric range with oven, high quality powerful electric plates with internal thermic protection. Pressed upper top 1,5 mm. Static oven GN 2/1 - 7,5 kW.